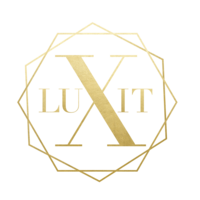 LUXit is Australia’s only award-winning 100% mobile beauty and wellbeing service. and mens grooming/barbering – all straight to your door. We hand-select industry leading professionals who are insured, police-checked, and qualified to deliver first-class services. 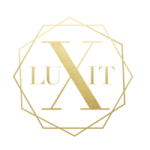 LUXit is available 7 days a week, from 7am to 10pm. Bookings can be made online, or on the LUXit apps. Prefer to speak to a LUXit Concierge? Call 1300 724 555 to request your service. 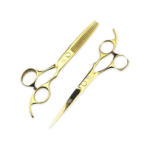 Our LUXit Partner will smooth & sculpt your hair for a polished finish to suit any occasion. Our partners will shampoo and condition your hair, whether you want waves, straight or big curls. Beachy waves, old Hollywood curls or relaxed, tousled locks, your perfect down style has never been more convenient. Your LUXit hair stylist will perfect your look just how you like it! 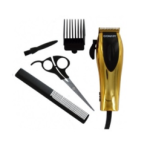 For the best of both worlds, leave your hair in the experienced hands of our LUXit Partner. Perfect for a day or night, make the most of your hair with a style that showcases your hair at all angles. Our professional hairdressers and stylists will interpret the latest trends whilst adapting them to your face shape. Your style will be finished off with our signature blow dry. Includes a complete makeup application tailored to your preferences, inspiration and the occasion. 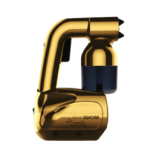 Achieve the perfect bronze glow from the comfort of home with a LUXit spray tan. Our qualified LUXit spray tan technician will perfect a custom glow for your skin adjusted to your preferences. 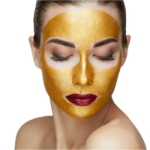 Our LUXit skin specialist will create a customised facial to suit your skin type and goals. Pricing supplied after initial consultation. A registered medical doctor will discuss your skin goals and create a personalised injectables package exclusively for you before visiting you for your service. Polished fingers and toes, bio-sculpture manicures and a deluxe pedicure are all part of our LUXit Nail Menu, with extra costs applying for removal and special services. Please call us on 1300 724 555 and we can arrange a service to suit you. Receive an in-depth wardrobe colour consultation to make daily styling a breeze, and finish off with a flawless spray tan to compliment your look. Cleanse yourself of any untouched items and focus on what you love, creating a capsule wardrobe that you will live in. Build the foundation of a great look by understanding your body shape. From accessories to staple pieces, you’ll never shop the same again! Experience shopping like never before, with expert advice to find the best pieces for your shape, budget, and lifestyle. Visit your favourite fashion locations or try somewhere new, and leave with some serious fashion finds. 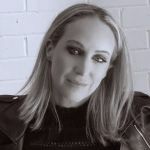 With over 30 years of industry experience, personal mastery and brand expert Scarlett Zola Vespa of “The Style of Mrs V” is available for select corporate branding appointments one-on-one. Scarlett has extensive experience in film, TV & advertising and is now exclusively offering a curated Corporate Branding service menu for LUXit. A completely personalised experience, these sessions are a unique platform to access an elite industry expert and elevate your personal or corporate brand. Customised pricing upon request. To book an appointment with Scarlett, please call 1300 724 555. 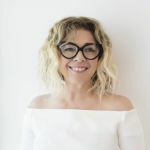 A stylist for Westfield Sydney, Yasmin is dedicated to guiding her clients (including celebrity, film and television figures) with a personal approach to ensure they look and feel amazing every day. Customised pricing upon request. To book an appointment with Yasmin, please call 1300 724 555. 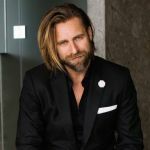 After establishing his own personal styling consultancy in 2005, Jeff has developed his unique Fit Colour Style method to enhance the individual personalities of his clients. Jeff is available for wardrobe cleanses, personal shopping, travel packing and complete makeovers. To secure your appointment with Jeff, please call 1300 724 555. Each LUXit Client will receive a phone consultation with Yasmin before their session in order to personalise and maximise their experience. Our signature LUXit massage will leave you feeling relaxed and refreshed. 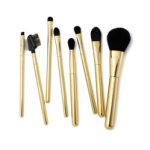 Includes a complete makeup application tailored to your preferences, inspiration and occasion. This service is completed with a signature LUXit blow dry. Includes a complete makeup application with the addition of a signature LUXit blow dry finished with heat styling to achieve curls, waves or straightening. Includes a complete makeup application and upstyle hair service, especially popular for formal occasions. "I booked a spray tan through LUXit. Not only was it extremely easy to book through the app, but it also felt secure and safe too! The beautician came to my house at the exact time I booked her for! She was extremely professional and friendly, making me feel completely at ease the whole time. When my spray tan was finished she provided me with all of the information I required to maintain my spray tan and how to make it last. Overall it was such a positive experience and I cannot wait to book again!" "I LOVE LUXit! Thank you for finding me a mobile spray tan technician at 10pm on a Saturday night!" 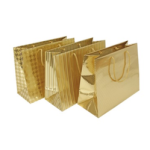 "I found the LUXit ladies to be extremely friendly and professional. I loved the makeup they did for me!" "After having my make-up done by the LUXit team for our Women in Media Awards, I never want to do my own make-up again! Lovely relaxing experience and picked up some tips along the way too." 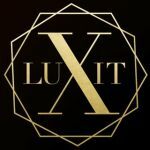 "The LUXit experience was so seamless, I was rushing to find a makeup artist for an event and LUXit booked someone for me to come to my home within the hour! The artist was so professional and the results were exactly what I requested! Booking again for an event next week!" "Freaking LOVE when a business fixes a genuine problem! Have been saying for ages that someone needs to create an Uber for makeup/hair... and someone has! Bianca was on my doorstep at 5:55am and has done my hair and makeup in record time, while I prep for our The Remarkables Group breakfast event. Super impressed LUXit!" "It went so well. I absolutely loved my hair and makeup and Jaimee Leigh was so lovely. My bridal shower was so special, we all had such a great day. Thank you so much for checking in!" © 2019 LUXit - All Rights Reserved.